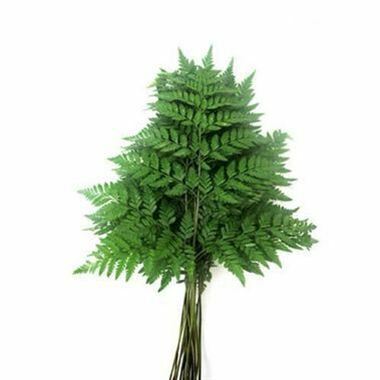 Leatherleaf is a dark green glossy triangular shaped fern & commonly used to edge flower bouquets. The reverse side of the leaves contain small round reproductive clusters. 50cm tall & wholesaled in single bunches.